Experience an unforgettable safari at Shamwari Game Reserve. 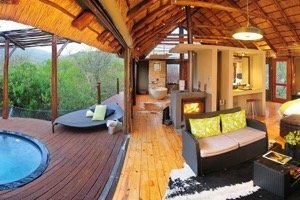 Discover the natural beauty and luxury accommodations of Shamwari Game Reserve. 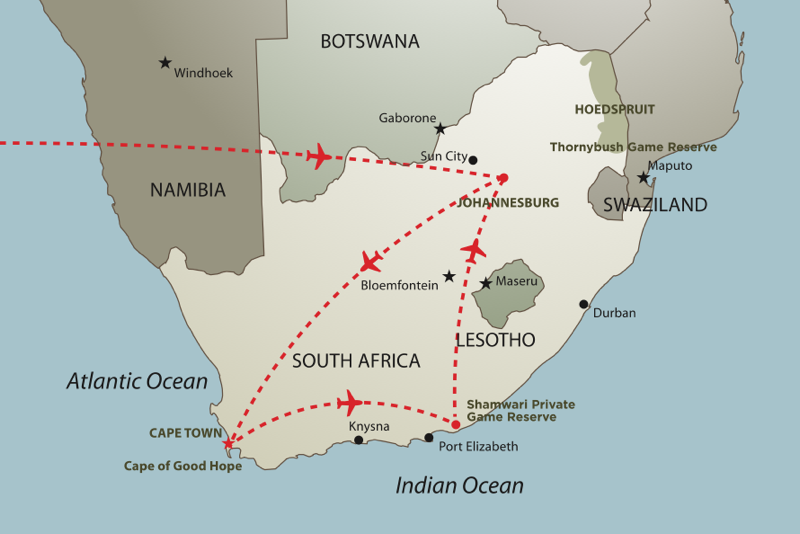 Depart on your international South African Airways flight from New York (JFK) to Cape Town, South Africa via Johannesburg. From the moment you board your South African Airways flight you will feel the warm and welcoming African hospitality in every detail of the world-class service you are about to experience. On arrival at Johannesburg's Oliver Tambo International Airport, clear immigration, collect your luggage and then clear customs before re-check your bags for your domestic flight to Cape Town, where you will be met by a Lion World Travel representative and transferred to the luxurious Twelve Apostles Hotel and Spa. The award-winning 5-star Twelve Apostles Hotel and Spa is just 15 minutes from the heart of Cape Town on the gorgeous coastal drive along the winding Victoria Road on the way to Hout Bay. The cosmopolitan city of Cape Town is the most popular tourist destination in South Africa due to its good climate, rich history, culture and scenic beauty, world-class restaurants, nightlife and shopping. The majestic Twelve Apostles Mountain Range serves as a backdrop to this magnificent property, with the Atlantic Ocean stretching into the horizon for as far as the eye can see. All around you can walk the wilderness trails of the Table Mountain National Park, part of the UNESCO World Heritage Site. 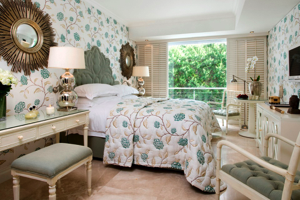 This luxury boutique hotel offers a complimentary shuttle service to and from The Victoria and Alfred Waterfront. At The Twelve Apostles you will relax in splendid luxury, surrounded by thoughtful touches and generous hospitality, for which they are renowned. All the rooms are individually designed; some have private patios or balconies from which to appreciate nature’s beauty. Every room has air conditioning, entertainment centers with DVD, and plush bathrobes and slippers. 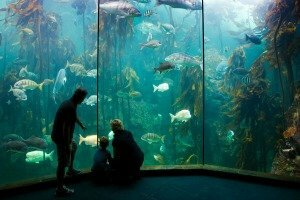 Enjoy a day at leisure in the fascinating city of Cape Town. 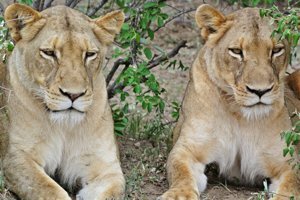 Perhaps join our Lion World Travel Cape Peninsula Tour, exclusively for our Lion World Travel guests at a cost of US$150 per person. Please let us know if you’d like to join this excursion. 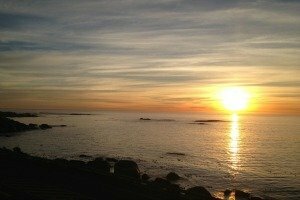 On this tour you will see why the area earned the name of The Fairest Cape. Sit back and relax, as you drive along the exquisite stretch of coastline known as Millionaire’s Paradise – from Clifton to Camps Bay, to the exclusive beach hamlet of Llandudno – towards the charming working harbour of Hout Bay. 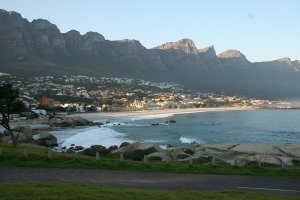 The tour then winds its way along the legendary Chapman’s Peak Drive, hugging the cliffs and relishing the breathtaking ocean views. 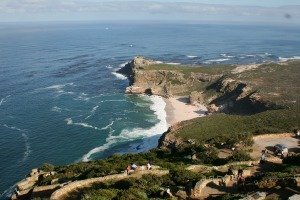 After a stop for lunch (your own account), visit the wild and beautiful Cape of Good Hope Section of the Table Mountain National Park, an integral part of the world-renowned Cape Floral Kingdom. You will have the opportunity to ride the Flying Dutchman funicular (optional and own account) to the old lighthouse for awe-inspiring views! 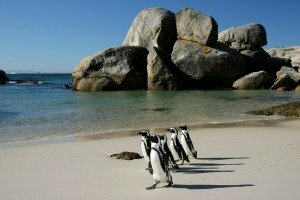 Finally, the tour makes its way back along the coast towards the City, visiting the historic naval port of Simon’s Town and the endearing African penguin colony at Boulders Beach. Did you know that the African Penguin used to be called a “jackass” penguin because its call is similar to that of a braying donkey! Today is at leisure to explore your surroundings at your own pace. To enhance your Cape Town experience, we recommend you enjoy a sightseeing tour. 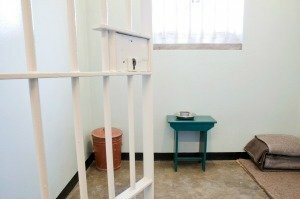 Our experienced Africa Specialists have some suggestions - a visit to historic Robben Island is a poignant and moving experience to see where Nelson Mandela was imprisoned. 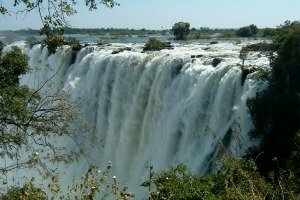 We would be happy to assist in pre-planning and arranging sightseeing tours to suit your interests. To see all of the day tour options that Lion World Travel has to offer, click here. It is time to say goodbye to beautiful Cape Town as you transfer from your hotel to Cape Town Airport in time for your scheduled flight to Port Elizabeth. Upon arrival at Port Elizabeth you will be met and transferred to Shamwari Bayethe, where you will spend 3-nights including all meals and twice daily game drives in a malaria free area. “By-ye-ti” or, “I salute you”, is the warm African greeting when you arrive. 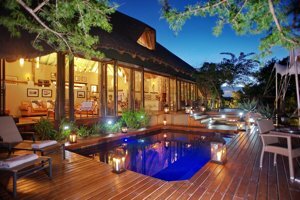 Bayethe is an impressive stone walled and thatch roofed lodge with a large deck area overlooking a waterhole. The lounge and dining area spills out onto the deck. The spacious superior tents offer unsurpassed comforts and are shrouded by the rich vegetation, providing privacy and a feeling of seclusion with views of the African bush. The tents have their own private plunge pool, large indoor baths, and outdoor showers. All of the rooms at Bayethe are fitted international adaptors, international dial telephones, electronic safes, electric blankets and hairdryers. Each tent is air-conditioned and heated. The main living area has Wi-Fi, a business desk with a computer and internet access. The main lodge also has a large swimming pool and indoor and outdoor dining area. Your first game drive is scheduled for this afternoon. On arrival, have a quick freshen up then meet your ranger over afternoon tea before setting off in search of wildlife! Make sure your camera is charged, you never know what you will encounter! Your day begins early. The freshly brewed coffee and tea with rusks (South African version of biscotti), fruit and muffins will prepare you for this morning’s game drive. Each day on safari brings a new experience. After an exhilarating search for tracks to see what the animals have been up to during the night, and tracking down wildlife in the bush, you will stop for a break of hot drinks and snacks, and a chance to stretch your legs. Continue your game drive en route back to the lodge for a hearty breakfast that awaits you on your return. After breakfast, you may enjoy a bush walk close to the camp accompanied by a ranger and tracker. Walks allow you a better chance to see some of the smaller creatures of the bush as well as an opportunity to learn more about the flora and fauna of the region and to have a chance to follow tracks in more detail. In the late afternoon everyone gathers for high tea, before heading out with your ranger and tracker for the afternoon game drive through the reserve. The game drive extends into the evening to view seldom seen nocturnal species by torchlight. This is when the nocturnal animals come to life and the lions go out on their hunt! Once again, you will take a break somewhere out in the bush, in a scenic spot to watch a magnificent African sunset while sipping a sundowner (cocktails at sunset). Return to lodge for a delicious dinner in the outdoor boma or possibly a dinner in the bush. Activities at Shamwari Bayethe revolve around morning and evening game drives in 4x4 safari vehicles, each lasting about three to four hours. There are also guided nature walks, bird watching, well-being treatments or visits to the Rhino Awareness Centre, Wildlife Rehabilitation Centre and historic tours, all adding to this magnificent experience. On arrival at Johannesburg's Oliver Tambo International Airport, connect with your scheduled international South African Airways flight back to the USA. Return home with a lifetime of memories to share with your family and friends! 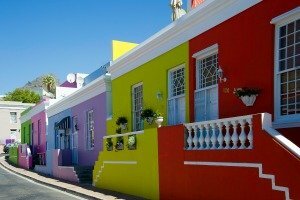 This tour is designed to orientate and give you a full-color insight into the extraordinary magic of Cape Town. First enjoy a cable car ride to the summit of the legendary Table Mountain (weather permitting) for panoramic views, including the City and surrounding layout of this southernmost tip of Africa (tickets are for your own account and cost approximately USD $16 per person). Next up is a visit of the country’s oldest colonial building, The Cape Castle and the Company Gardens. Then you’ll be driven past Parliament Buildings, City Hall which is where Nelson Mandela made his first public speech after his release from prison and the Slave Lodge. Next, it’s up the cobblestoned hills to the beautifully colorful homes of the Bo-Kaap in the Malay Quarter. The tour ends on a sparkling note, with a visit to a diamond works where you’ll watch a professional diamond cutter as he creates every girl’s dream stone. Perhaps you’ll be taking one home. This special package includes international roundtrip flights on South African Airways from New York (JFK) to Cape Town via Johannesburg. 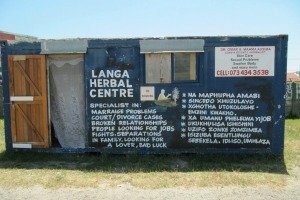 Trip Cancellation, Interruption and/or Medical Insurance - please note that insurance for this trip is a mandatory requirement from suppliers in South Africa – proof of insurance must be provided before bookings are confirmed. It is your personal responsibility to ensure you have sufficient insurance coverage. We had a great vacation, and knowing that all of the logistics were being taken care of took all of the stress off of us. Very well organized - thank you! I can't say enough about what a wonderful Lion World did in arranging this trip. It was certainly a vacation we will never forget.